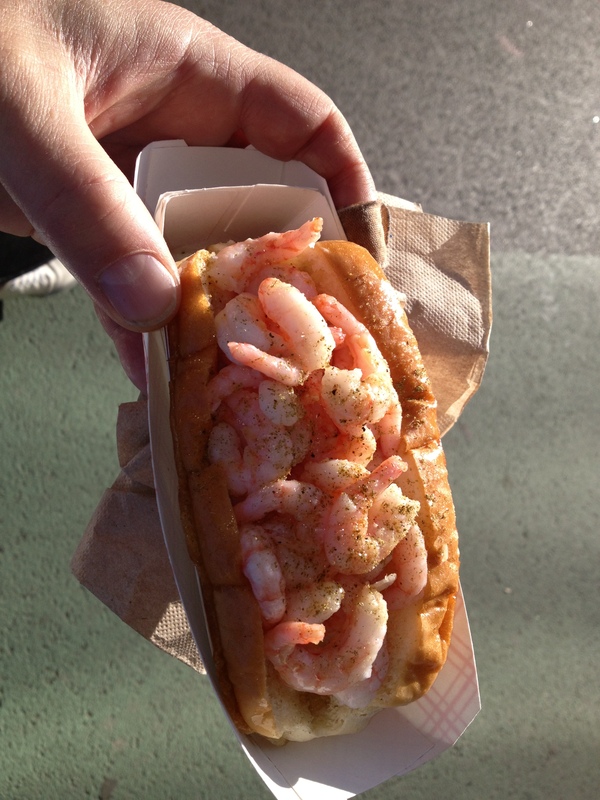 Usually Luke’s means lobster but when I was strolling the Ideas City Festival (street fair) this Saturday I figured I should shake things up so got a shrimp roll. $8 bucks of awesome if you haven’t tried Luke’s you gotta – they have several locations as well as being part of several Summer locations like the Hester Street Fair which also opened this past weekend. So it’s starting to feel a lot like Summer – only without the hot weather. If you missed Ideas City Festival it’s never too late to visit the New Museum one of my favorite art spaces in the city (and nicely located close to where we live), they have great shows, but they also really work hard to interact with the neighborhood/community. The Ideas City festival is a perfect example of this – education, entertaining, provocative and tasty – now tell me when was the last time you were at a street fiar that made you think and got you excited about new ideas? This entry was posted in NYC, Other Stuff and tagged Hester Street Fair, Ideas City Festival, luke's lobster, New Museum. Bookmark the permalink.